(Toronto) Small to Medium Sized Enterprises (SMEs) make up 98.2% of businesses in Canada, and emit as much climate change-causing greenhouse gas (GHG) emissions per year as Canada’s combined transportation sector, including every car, truck, train, plane, and ship. Earlier this summer, the Centre for Social Innovation launched a contest on the Massachusetts Institute of Technology’s Climate CoLab platform to solicit a broad range of possible solutions to help SMEs in Ontario reduce their direct and indirect GHG emissions while helping them thrive. During the application period, thirty proposals were submitted. Those proposals were voted on by the public, as well as assessed by a team of six judges. Today, we’re excited to announce the Judges’ and Popular Choice winners. The winner of the Judges’ Choice is Climate Smart’s project: Data drives smart decisions: Interactive BEEPs for Municipalities and Businesses. Climate Smart has built a reputation as one of Canada’s leading organizations helping SMEs reduce greenhouse gas emissions from a range of sources. Their report 200 million tons of opportunity documents the ways in which those reductions have been achieved. In their contest proposal, Climate Smart proposed Business Energy and Emissions Profiles (or a BEEP) as an innovative carbon mapping tool that unlocks SME business data to help cities and on-the-ground partners identify and prioritize opportunities to work strategically with their local businesses to reduce greenhouse gas emissions and develop data-driven storytelling on climate action. To learn more about BEEPs and to see an interactive map of North American cities that have launched a BEEP, go to beep.eco. The judges’ runners-up in the contest were Eco Business Network, Grow Green and ioAirflow. The judges are listed on the contest page. 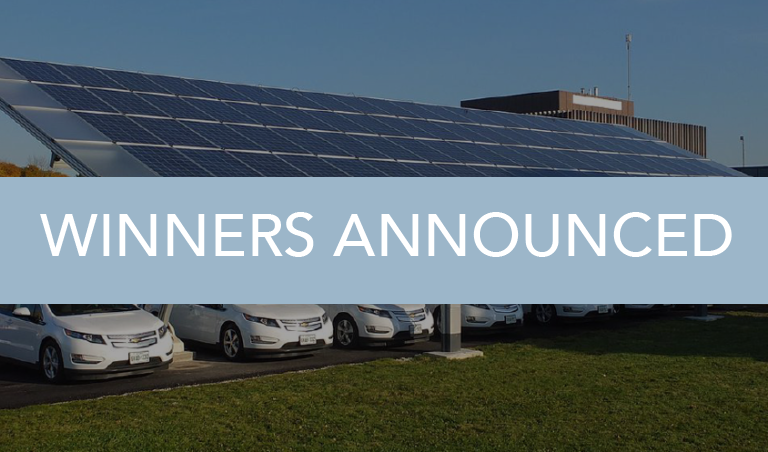 The winners will receive membership and workspace at the Centre for Social Innovation’s Climate Ventures, an incubator for climate entrepreneurs, innovators, and leaders.